I love the first saying as a not-so-subtle motivator. And the second? 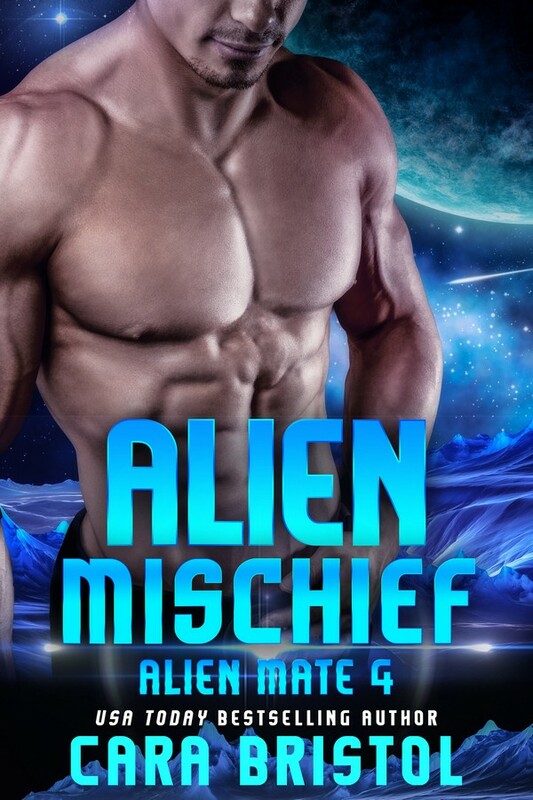 Did you know the odds of successfully publishing a novel used to be much higher than successfully navigating an asteroid field? About 10,000 to 1. Thank goodness the times, and the publishing industry, have changed. 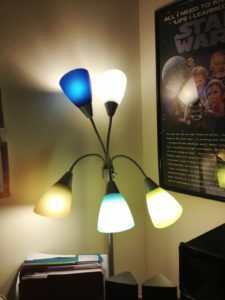 I also added this funky/campy bendable five-armed aluminum lamp with multi-color shades. It suggests something robotic or Early 60s Nerdy, the whimsical spirit of the so-called Golden Age of Sci-Fi. But other than lending some atmosphere, its main job is to cast a little light when my work space gets dim at night. The top shelf of my desk is populated with the usual suspects–a Thesaurus, Dictionary, Word Menu, etc., but also a diminutive action figure of Luke Skywalker dressed in dark Tatooine garb (he moves around a lot—my SF version of Elf on a Shelf). There are some space-themed mugs and one that reads “One Day When We’re Both Rich and Famous, We’ll Look Back on All This & Laugh” (for the record, that day hasn’t happened yet). And, of course, there’s the expected keyboard, mouse, Andromeda Galaxy mousepad, other sci-fi items and a collection of electronic equipment–monitor, tower, printers, speakers–but no stereo, radio or TV. I can’t work with music playing or background noise. I need quiet. Shhhhhh. 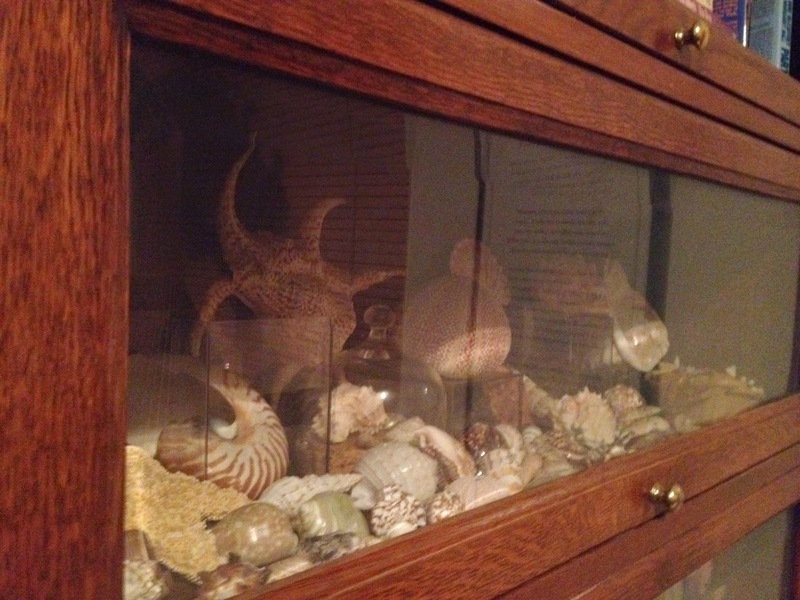 I collect shells, so my work space is full of them. 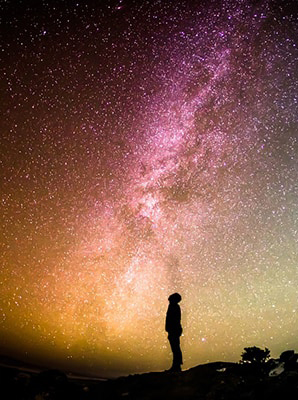 I love the infinite variety—all the different shapes, textures and patterns. They represent the depth and mystery of the oceans, and how the sea eventually gives up its secrets…one treasure at a time. Much like a good story, yes? 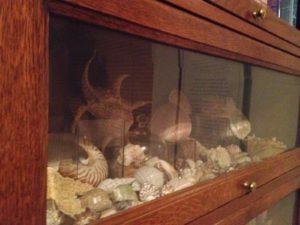 There are a several shell art pieces on the walls, but my specimen collection takes up an entire shelf of the barrister bookcase. Do any pets share my work space? Oh, you bet! I have three little writing buddies who know what “Let’s go write!” means and run as fast as they can to my office to curl up under my desk when they hear it. 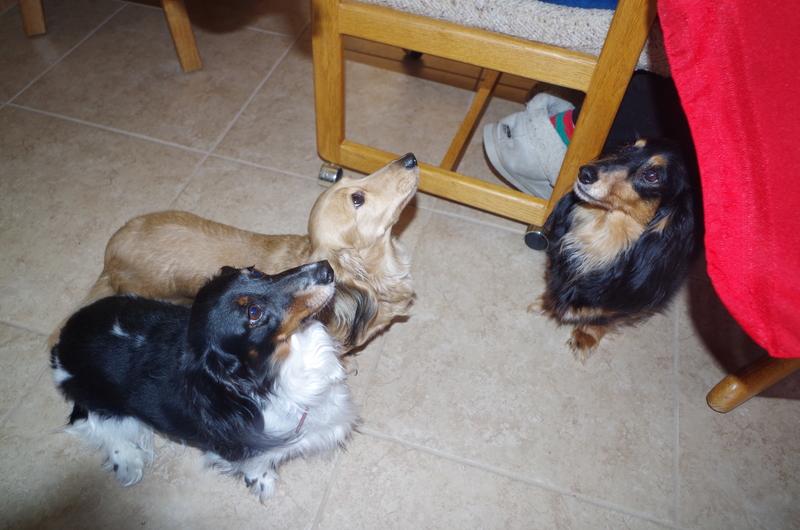 They’re all miniature longhaired dachshunds, and two of them (so far) have loaned their names to the StarDogs in my Pets in Space stories—Katrina and Luna. (StarDogs are bio-engineered weasel-mongoose-feline-canine mascots, and the canine genetics no doubt came from miniature longhaired dachshunds.) So my two pet heroine namesakes and their buddy Maura (who I promised will someday have a StarDog named for her, too), are a very important part of my work environment. So there’s your illustrated, one-dollar office tour. Hope you enjoyed your visit. 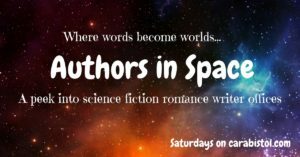 This entry was posted in Author interviews, Guest blogs, Science fiction romance and tagged Authors in Space, Embrace the Romance, habits of writers, home offices, Laurie Green, office decor, Pets in Space, science fiction romance, science fiction romance authors, Star Wars, where authors write. Bookmark the permalink. What a fun idea for a feature, it was nice to get a view into Laurie Green’s writing space! 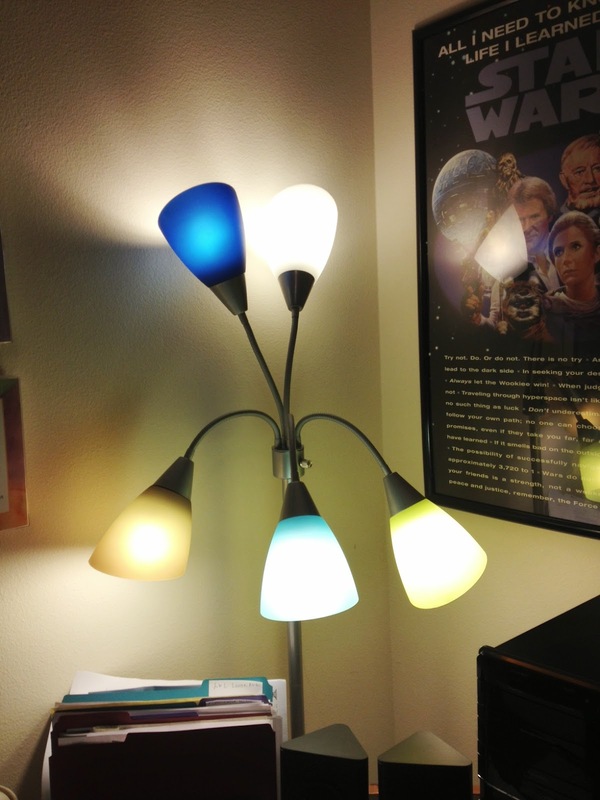 That lamp looks fun with the five different colors and those dogs are too cute! That’s adorable they know what let’s write means and that they lend their names to the stardogs! 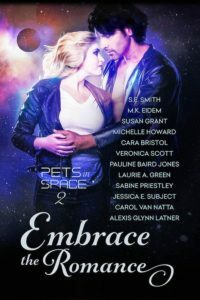 I am looking forward to Pets in Space 2! Laurie’s office is so cool! 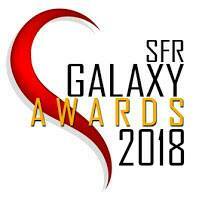 Perfect for an SFR author. Thanks, Lola. And my little buddies thank you, too. 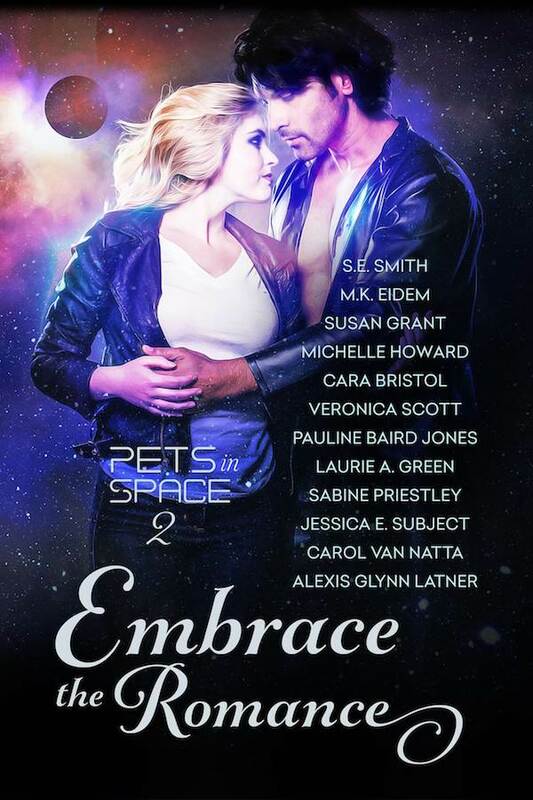 I’m so excited about this new Pets in Space–can’t wait for you all to read it! Thanks! 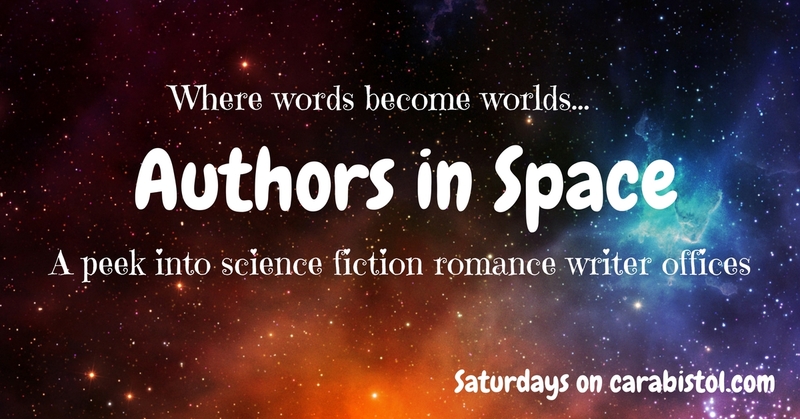 I’m going to feature the Pets in Space authors first, then I’ll open up the feature to other SFR authors. What an awesome post! I love your helpers! Thank you for sharing this, Laurie. Laurie’s does look like fun. Mine is much more utilitarian. I can’t wait to see your office, Jess! I loved this! 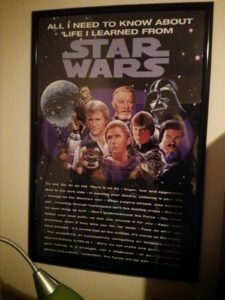 I used to have that poster. 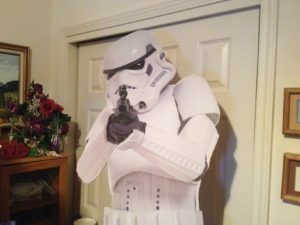 When I moved, I think it went to my grandson–a Star Wars fanatic, like me. Glad to know there’s another writer who likes quiet. I can’t work with music or the TV. Too distracting. Best wishes on Pets 2. GMTA, Diane! 🙂 I love that poster. Can’t even remember where I found it now. A new addition to my wall art will be my day-job retirement announcement, which featured a Star Wars theme. My co-workers had it framed and added their well-wishes to the matting. Another treasure! 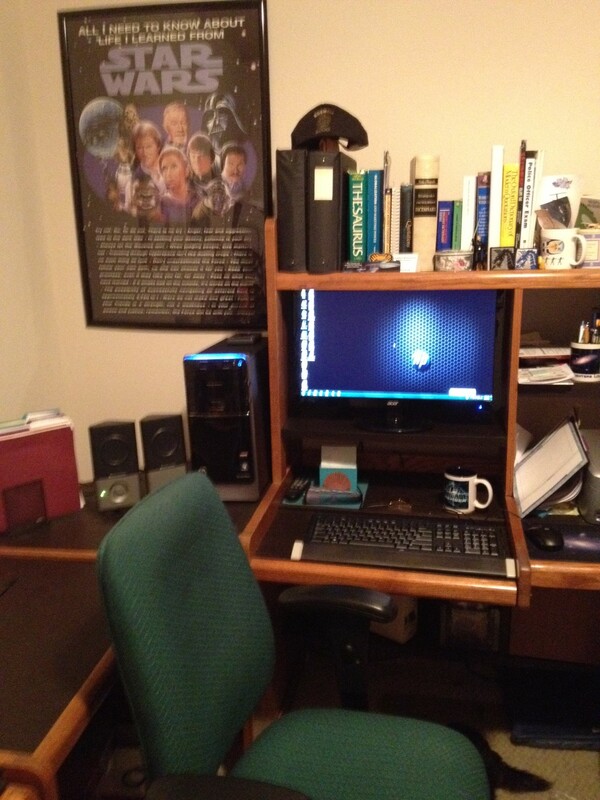 Very fun feature and enjoyed the peek into your workspace, Laurie! The dogs are adorable! Your StarDogs are awesome, too! Thanks for visiting, Pauline. I’m looking forward to seeing your workspace. Thanks so much, Pauline. And my little StarDogs thank you, too. I can’t wait to read your story because…time-traveling parrot! Just such a fun and cool idea. I can’t wait to see the other authors’ work spaces. It always fascinates me to see the work environment of fellow writers. Thank you for jumping in and being the first, Laurie! That’s me, boldly going. *grin* (Had to work a little Star Trek in there.) Thanks so much for the invitation. This is going to be a very fun blog series.